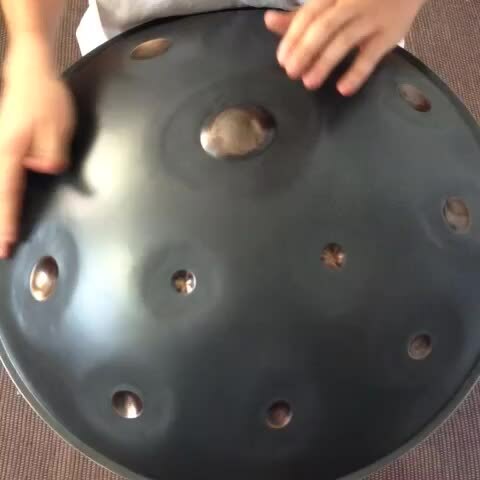 PANIVERSE – WORLD of HANDPANS » handpan knowledge • internals • makers • projects » Progress on LUMEN the Electro-Acoustic Handpan, Anoushka Shankar on Tour & New Handpans, new Shapes, new Concepts….. Many many new things are going on in PANIVERSE and it’s time to cover some of them in a new posting. Here we go……..
Its great to see, how Guy and his Team is making progress with the development of the LUMEN, the Electro-Acoustic Handpan they develope. What are the biggest changes now? all cable ports (Audio out, MIDI and USB ports ) have moved to the underside.Now, if you want to plug into something, the cables will go straight down – out of the way – leaving you free to move. The screen and interface have moved to the top, around the ding. We’re using an OLED display, so it doesn’t have a backlight. If you aren’t interacting with it (changing instruments, scales, volume, etc. ), it will be completely dark. Interface changes to all touch, no buttons interface. The idea here is that you make changes (switching scales, etc.) by using a scrolling touch sensitive ring which surrounds the ding. The tone fields themselves operate as buttons. The ring is disabled until you tap it with enough pressure, resulting in tactile feedback. Coupled with the recessed groove it’s situated in, this prevents unintended activation while playing. Interacting with the interface becomes a natural extension of actually playing the Lumen. The whole instrument is now a lot smoother and more organic. I am really looking forward to the LUMEN – it really seems, that Guy and his team are doing a great job. Anoushkar is on World Tour with her programm “Land of Gold”. Since i had the chance to see her performing in vienna last week, i just want to make you aware about her tour. If you have any chance to join in at one of her performances, do it ! It’s more than just worth. The theme of this program is the so-called refugee crisis – how we deal with it, and why so many are not ready to open their hearts. A very touching and special programm – far from mainstream. And musically definitly one of her best programs in my opinion ! Handpans & Sound Sculptures – New Makers, New Concepts, New Handpans……. To me it feels since some time, that there is a serious outbrake of the “Handpan Making Virus” going on. More and more makers show up, more and more players start hammering as well. I really like to see this and i am very sure about, that there will be big developments and changes in the “Handpan World” within the next year and years…….. Many new makers will show up and this will hopefully help to bring the price of Handpans down to a justified, fair and for more people affortable level. I love to see, how many makers are ready to share their knowledge to help the beginners with their first steps in handpan hammering…..and tuning. What i also love to see is, that new concepts and new ideas show up at some of the makers. The last time it felt like, that all makers try to put more and more notes on the Pans. Kabcao’s “Mutant” was kind of a trendsetter it seemed to me 🙂 . And now it seems, “some” are stepping back – into the “less is more theory” – like Ezahn from Asachan with his DuBas. PANart did this “stepping back” some years ago and to be honest, sometimes it felt to me, that they are “reducing to death”. And at the end, they will just make a “playable Steel Hole” – that – yes, kind of sounds……. 😉 Now, with the release of the “Hang®Bal” they show again, that they are definitly still into activity on a realy high level of creativity ! I am really looking forward to all the new things will show up in the Handpan World in the next time. 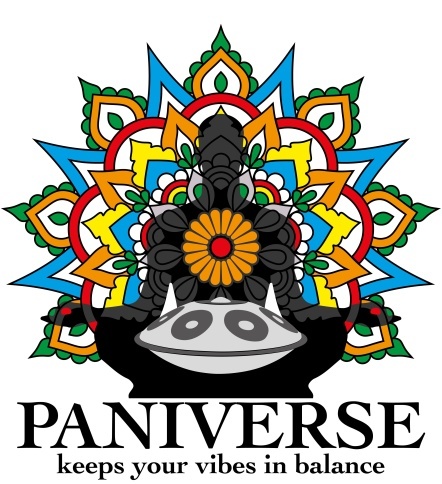 Exciting “PANIVERSE times” are ahead of us …… enjoy it ! Dingadongading – Peace & Love and all the best Vibes to all of you !